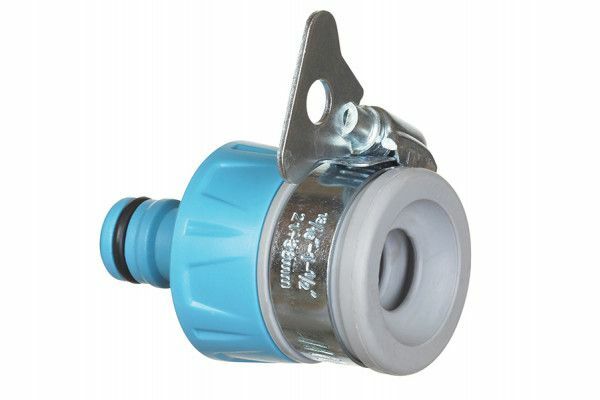 The Flopro Round Tap Connector is for connecting a round or oval tap with a hose, max. diameter 24mm. The fitting is sealed to the tap by tightening the stainless steel clip. Made from premium grade plastic. 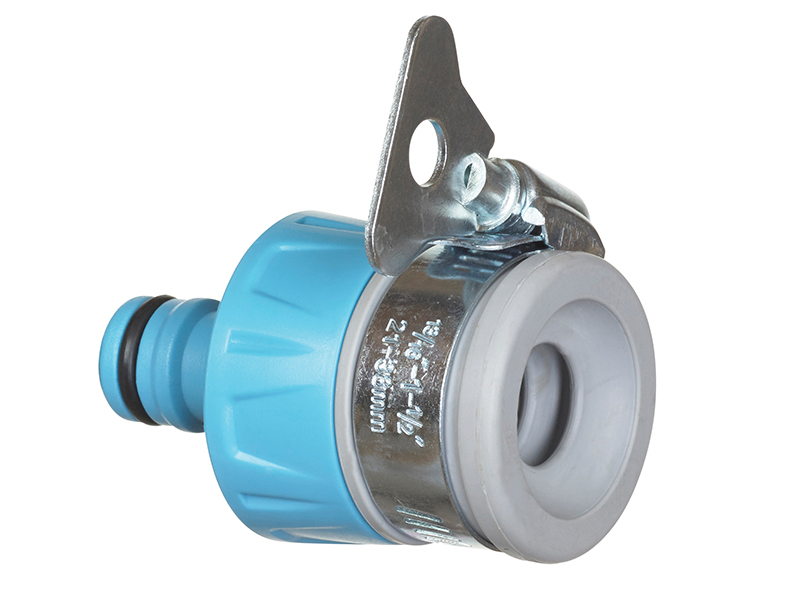 The connectors allow a ‘Snap Fit’ and ensure easy connection to all major watering brands.